February is National Cancer Prevention Month and Provision CARES Proton Therapy is dedicated to providing educational awareness on cancer prevention and early detection. Along with regular screenings and physician check-ups, maintaining a healthy lifestyle is one of the main ways to reduce your risk of cancer. There is no single food that can fully prevent or cure cancer. However, there are a number of lifestyle adjustments you can do on your own to reduce the risk of cancer. A number of foods are rich in nutrients and provide long-term benefits to the body. 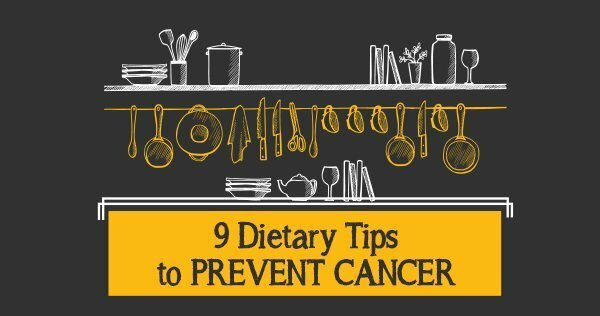 Adopting a healthy lifestyle that promotes a healthy weight, a balanced plant-based diet, and movement on a regular basis is proven to reduce your risk for some cancers. Maintaining a healthy lifestyle is one of the main ways to reduce your risk of cancer. 1. Start with lean proteins. Build each meal around a lean source of protein such as chicken, turkey, fish, eggs or tofu. Try to limit processed meats such as hot dogs, ham and sausages. Most dieticians suggest 25–30 grams lean protein at each meal. 2. Add some colour to your plate. Fill half of your plate with colourful non-starchy vegetables such as leafy greens, broccoli, tomatoes, eggplant and onions. Non-starchy vegetables are rich in fiber and provide vitamins, minerals, antioxidants and phytochemicals. They are necessary to help the body grow and develop; heal or repair itself; perform essential functions; and protect the body. 3. Cut back on carbs. Limit starchy carbohydrates such as legumes, lentils, breads, grains, cereals, pasta and fruit to a fourth of your plate. All carbohydrates are converted to sugar in your body. The conversion of sugar causes a spike in blood sugar and an increase in the storage hormone insulin. Insulin prevents your body from burning fat, making weight loss very difficult. 5. Hydrate. Adequate fluid is important for a variety of reasons. Staying hydrated helps to transport nutrients through your body and keep you healthy. Aim for a minimum of 64 ounces of water daily. If you don’t like to drink water, try adding flavour such as fresh squeeze lemon or lime. 6. Incorporate healthy fats. These are nuts, seeds, nut butters, extra virgin olive oil (EVOO), avocado, or omega 3 fatty acids. Omega 3 fatty acids can be found in foods such as salmon, halibut, albacore tuna, sardines, herring, walnuts and flaxseed oil. Adequate fluid is important for a variety of reasons. 7. Avoid added sugar. If sugar or a form of sugar (sucrose, high-fructose corn syrup, glucose) is in the first five ingredients of a food item, put it back. Added sugar has little to none nutritional value. Too much sugar prevents your body from burning fat. 8. Pass on happy hour. Limit your alcohol intake to 1 drink per day for women or 2 drinks per day for men. Not only can alcohol alter emotions or cause physical impairments when consumed, most alcoholic beverages are full of sugar, which prevents weight loss. Also, research shows that alcoholic drinks may increase your risk of some cancers especially when paired with smoking. 9. Move your body. Aim for at least 150 minutes of moderate intensity or 75 minutes of vigorous activity each week or a combination of the two. No matter what your physical activity level, start small and begin by moving your body above your usual level of activity. Try taking the stairs instead of the lift, or walk a lap around your office or house every hour. Many fitness instructors will advise clients to aim for 10,000 steps per day. This article was originally published on Provision Healthcare. Read the original article. Personal Injury Claims: What is Contributory Negligence?